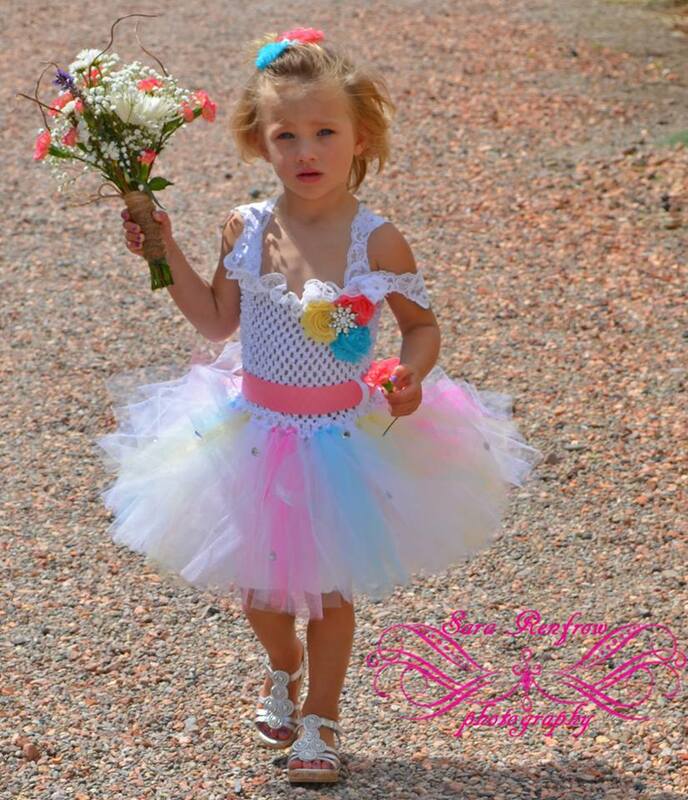 Flower Girl Tutu Dress Choose Colors to Match Your Wedding - $59.75 : 4 Angel Babies, Custom Creations for the Angels in your life! 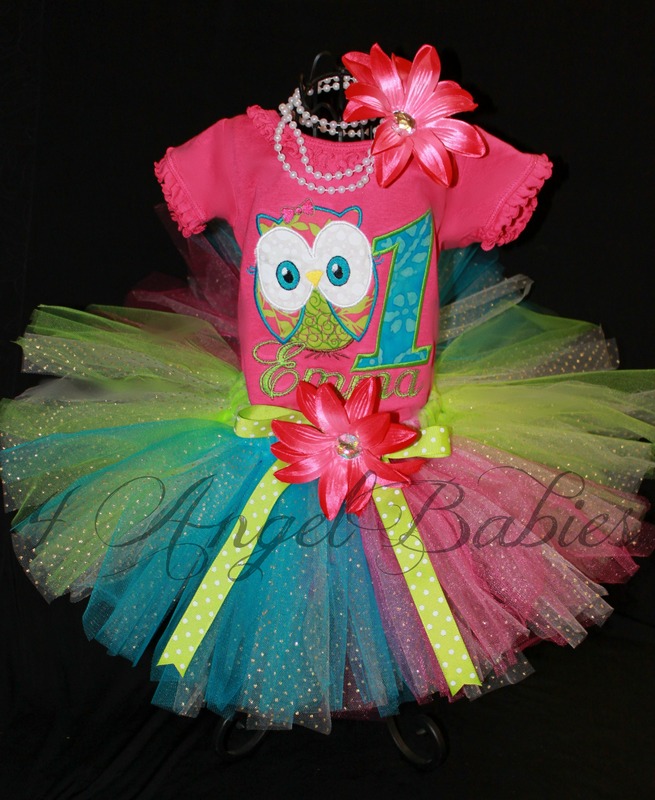 Let your little angel be a princess on any special occasion, as a flower girl, first birthday, Halloween, party, wedding, trip to Disneyland or Disney World or photo shoot with one of my adorable TuTu Ball Gown dresses. This precious tutu gown is made with soft, fluffy layers of yellow, pink, and blue tulle. skirt is lined with white satin. 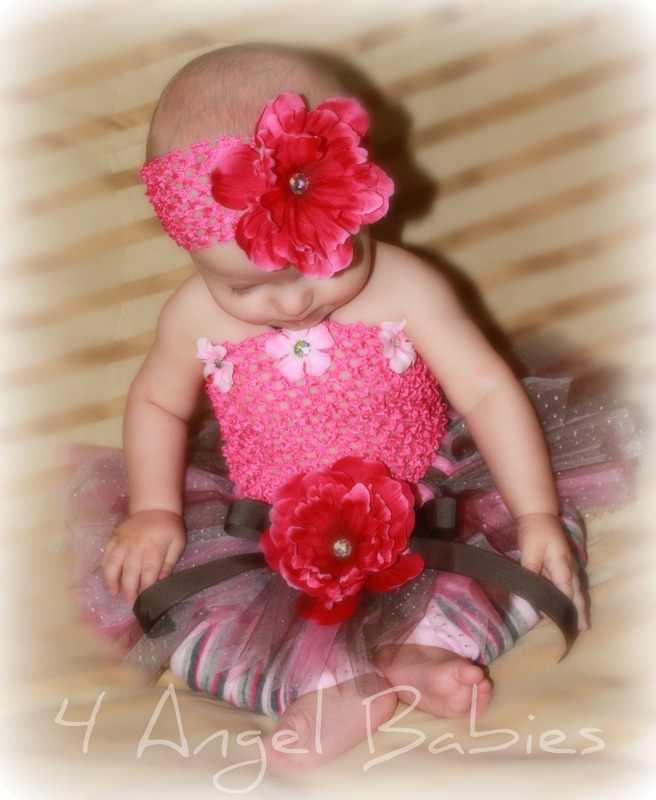 The crochet top has added pizazz with elaborate chiffon rosettes and ribbon embellishments. Listing is for gown up to 16" in length measured from under the arms. 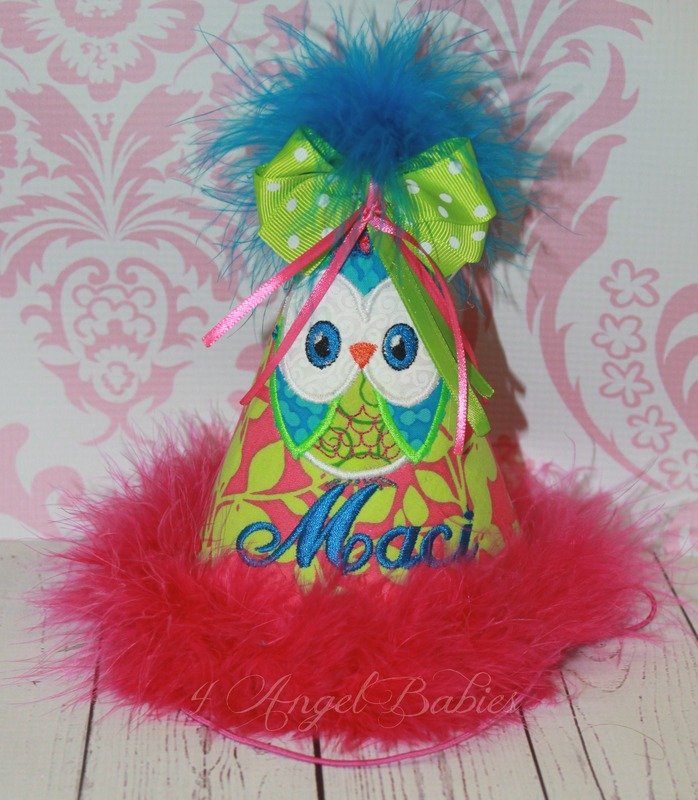 (Note: the top is crochet ribbon, so will have little holes where the skin may be visible) Upgrades such as rhinestones on tutu +$10 and broach style center $8 for rosettes available (will vary from photo or you can add your own). 1. LENGTH ---->Please provide measurement from under the arm to the top of knees (or area you wish the bottom of the gown to end). 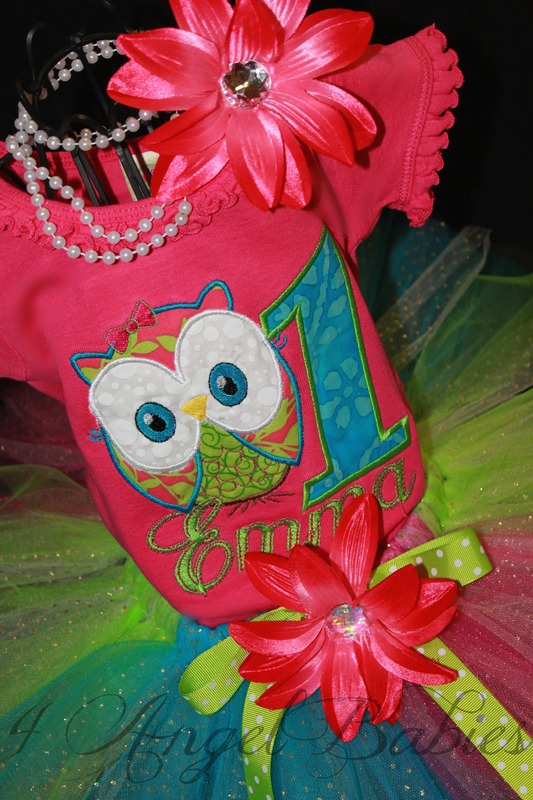 Price includes gown up to 16" in length starting from under the arms (Each additional inch is $2).